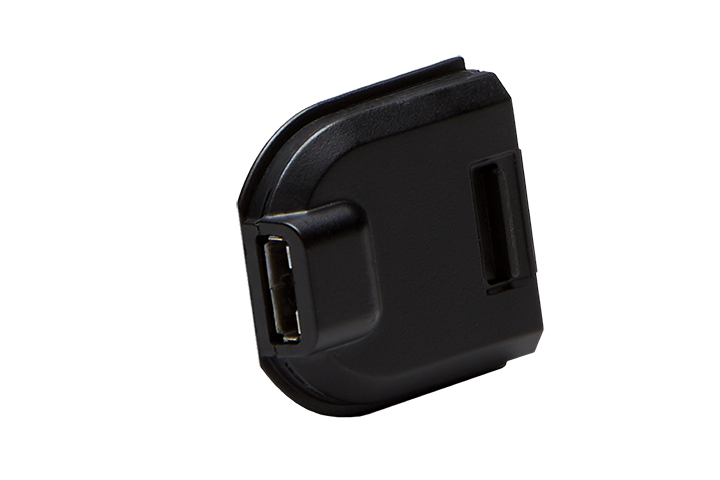 Custom designed adapter for the Main M-Series Smart Glasses body, designed to receive micro USB connection for power and data connections to USB host devices. Allows for direct connection to external batteries without the need for the M-Series Power Cable and M-Series Battery Pod. Requires a connection to a power source supplying a minimum of 1.5A of current.